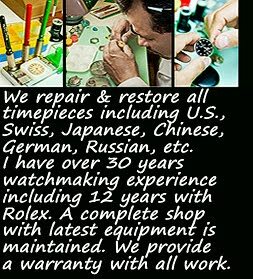 Hello all...I am happy to announce I will be posting sales of a limited number of watches I have personally restored at excellent prices....keep 'watching'. and below in "Goldfinger", was one of my favorite restorations. One of the most fun of the many watches, and many Rolexes, I've restored was the 'James Bond' Rolex. 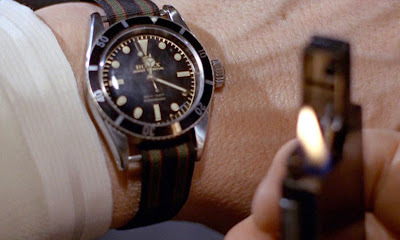 Someone had bought a nearly destroyed Rolex 6538, the big crown Rolex worn by Sean Connery in 'Goldfinger', at a swap meet for several hundred dollars. He sold it to a dealer for $1000, who then brought it to me to bring back to life. I changed the tube, crystal and complete automatic system. Seemingly unimportant, but actually most important, was the crown. The big crown of this model was a hard to find part of the watch that would complete the restoration for a collector. At the time, I did not know that the famous Bond model had an oversize crown. But I did know that this model I had, ref. 6538, needed the rare large 8 milliimeter Submariner crown. Of course, I found the needed crown, completed the watch, and finished a timepiece that the customer could proudly sell. A watch that without the large authentic crown, had been ridiculed by others that thought it was a fake. 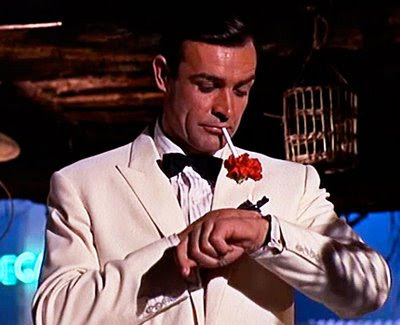 If James Bond always gets his man, and often woman too, I can say, "I always get my watch part." From the age of 7, when I began learning the art of watchmaking, I developed a passion for watches. Since then, my career has included 12 years as watchmaker and technician at Rolex U.S.A., membership in the National Assoc. of Watch and Clock Collectors (NAWCC) since 1992, and graduation from the prestigious WOSTEP watchmakers school in Switzerland. The Watchmakers of Switzerland Training and Educational Program is a 4-year institution that is the highest certifying body for Swiss, German and French watchmakers. I am proud to work on watches from Patek Phillipe to inexpensive but fascinating Soviet Era Vostocks and collectible Seikos. I enjoy it all, and keep prices very reasonable. 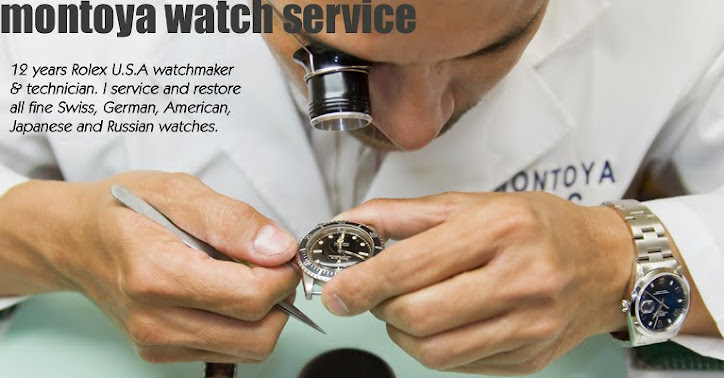 I am authorized by the SWATCH group and the AWCI (American Watch and Clock Institute) to repair and restore: Omega, Longines, Hamilton, Certina, Mido, Tissot, and Rado.